Your Lead Dev just won an all-expenses-paid trip to the Bahamas. Your Project Manager finished an Ironman (the triathlon, not the movie trilogy) and won’t show up at work for a week. The ground starts shaking, your hands start sweating. It sure feels like all hell broke loose. Fortunately, those days are over. Not the days of going to the Bahamas, or doing Ironman challenges - but the days of you being blasted out of the loop. We live in a world where everyone talks about being independent. Heck, even my dog takes the leash by himself and goes for a walk. But, when it comes to our professional lives, boy do we love seeing those dependencies. We love to predict, to zoom out, see the big picture. We love knowing the order in which we do something. We heart timelines. The Project Manager, Jin, walks in and announces that the team finally got the green light for the Prototype phase in the project. Everyone high-fives, hugs, a few cans go tssst. This flow gives the basic timeline. With it, Jin can predict when the prototype will be complete. But, what if some tasks don’t get the attention when they need it? That’s when Task Dependencies get all the spotlight. Because Jin knows that the exact sequence of task completion is crucial. Every task is dependent and builds upon the one before it. 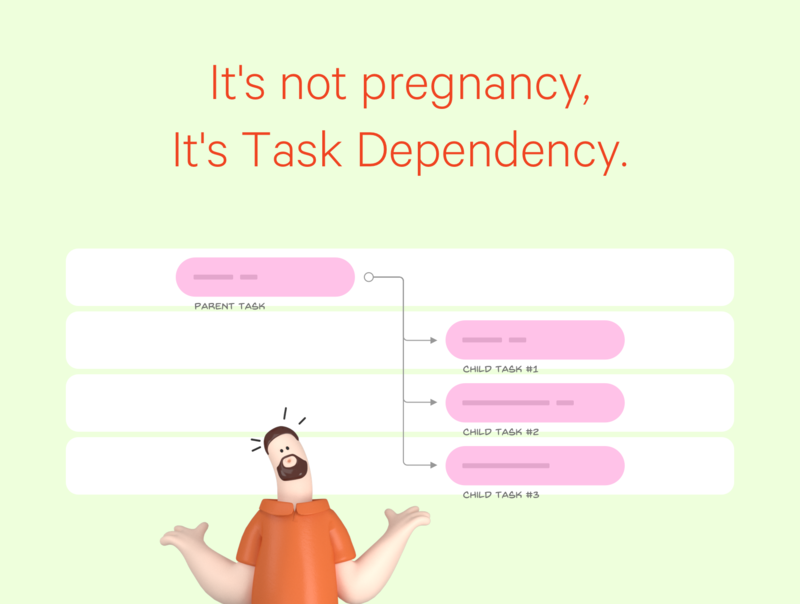 Task dependencies, a new feature recently added to ActiveCollab, makes sure that tasks will always be done in the exact order we want them to. It doesn’t matter how many intermingling parts your project has. They’ll all fall precisely into place in this beautiful and insightful timeline. When you designate a task hierarchy by making parent tasks that child tasks depend on, you ensure that the desired order will always be followed, without fail. 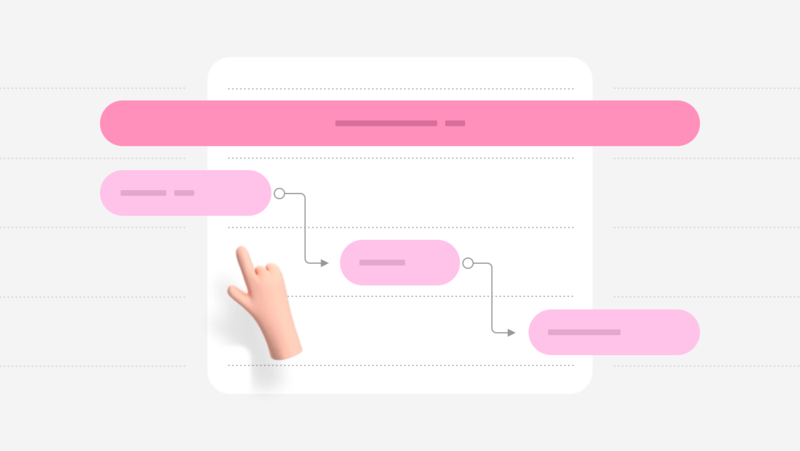 Task Dependencies are by far the most requested ActiveCollab feature ever, which is why we decided to give it a top priority when designing new ActiveCollab. We read every single feature request and comment our users had. Click, set a new date. Is the project still on time? Has it been delayed for (at least) three weeks? Can the project even progress without our Lead Developer? This is exactly why ActiveCollab’s Task Dependencies come with Automatic Rescheduling. When you move parent tasks around, their child tasks will automatically move along with them, keeping the same date relationship. This means that you only have to make one small time change to the parent, and all the child tasks will be updated along with it. And you know all those weekends and holidays we all love so much? Well, guess what, this feature loves them just as much as we do, so they are also taken into account - no more ticking those off one by one yourself. But this feature allows you to fight those challenges by taking a more proactive and agile approach. This way, you can concentrate on achieving Real Work, instead of doing busywork that should be automated for you. To give another example of how we strive to eliminate the hassle of busywork - when you designate two tasks and set their dates, all the tasks in between them will automatically have their dates equally distributed. Neat, right? But it gets even better. Members who are assigned to tasks with dependencies will get an email reminder when each parent is complete! This way each team member knows when they can begin working on their own tasks. Of course, anyone subscribed to the task will also get notified whenever a change is made, a new date or comment is added. What’s in it for you, really? A time-saver - you don’t have to manually click and change the date of every single task. Busywork is now automated! Appealing visual insight - the timeline gives you the big picture, along with the view of all the dependencies. Delegation flows - the responsibility vs. accountability debate is over. You can assign each task to someone and when a parent task is completed, the assignee of a child task gets the green light! I mean, email notification. With only a glance, you’ll immediately know the status of the project. Thanks to this addition, ActiveCollab is now more powerful and versatile than ever before. It’s truly the proper way to do your Real Work.